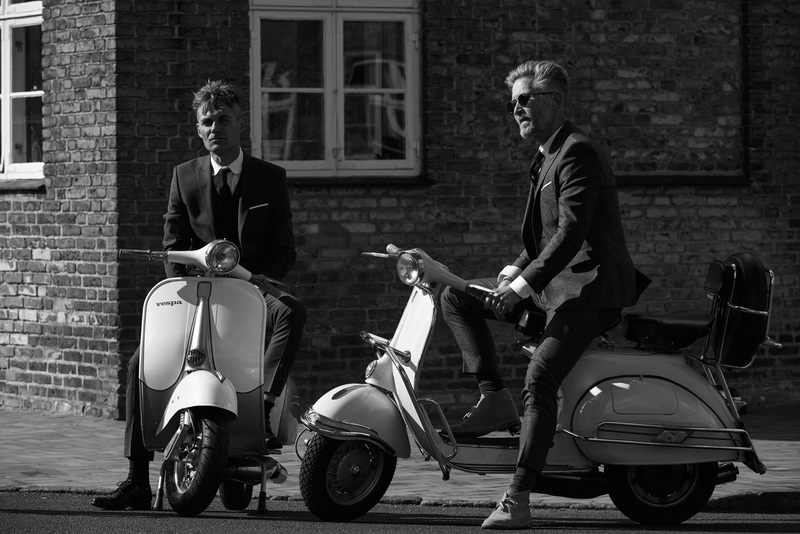 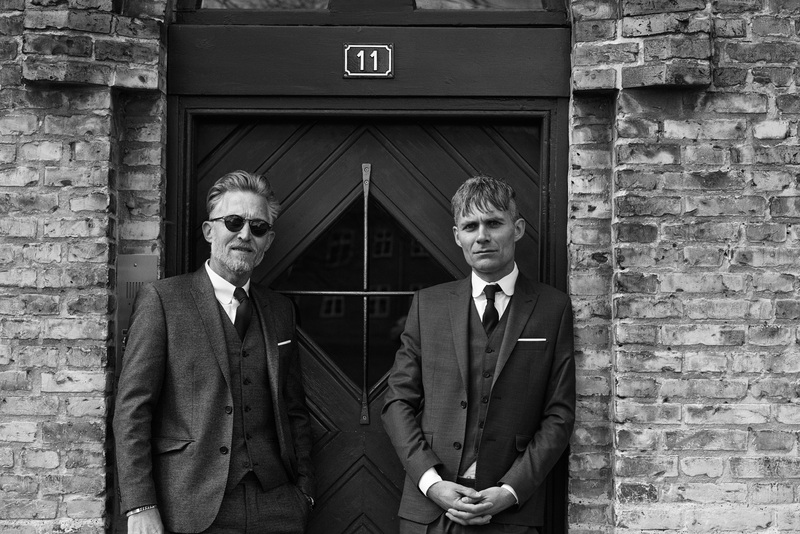 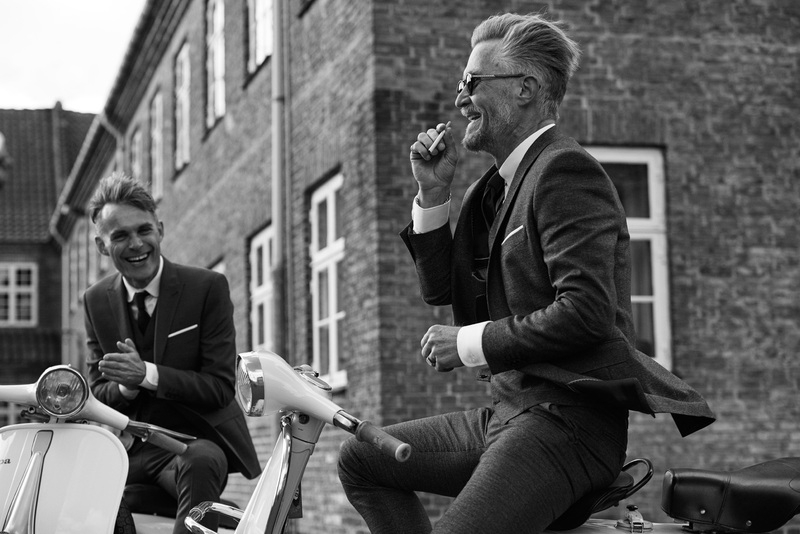 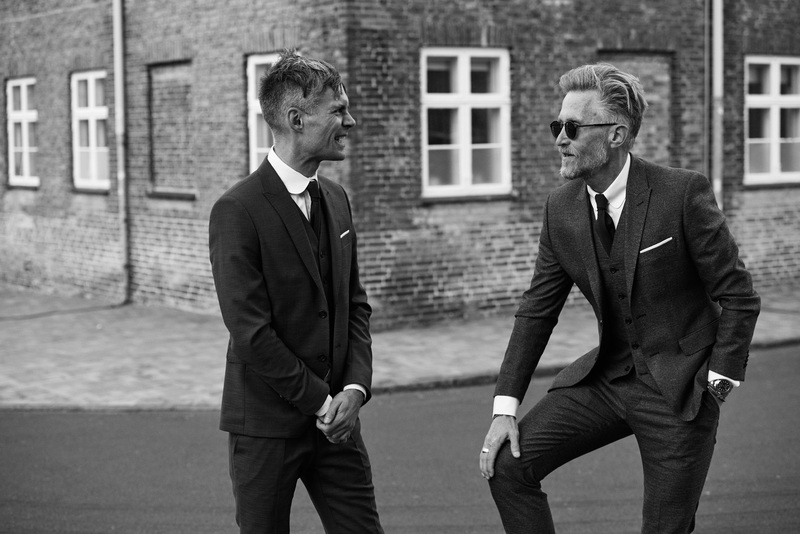 Campaign starring Brian Holm and Doc. 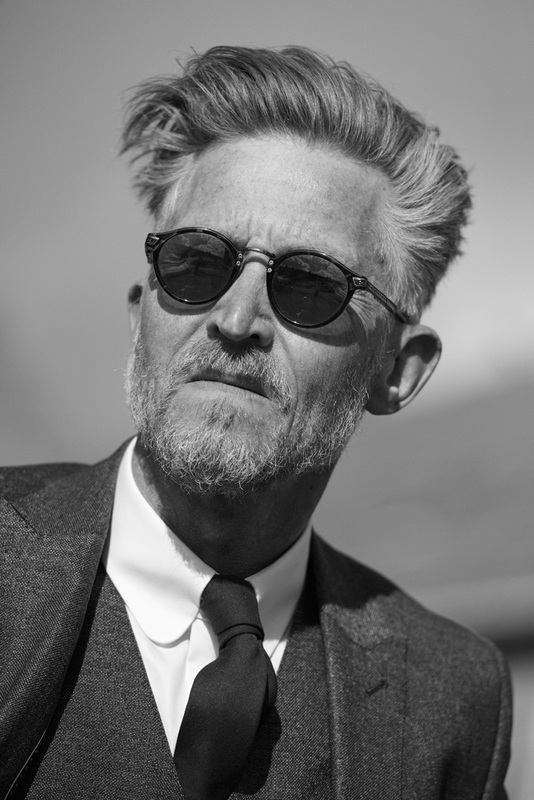 Jonas Larsen. 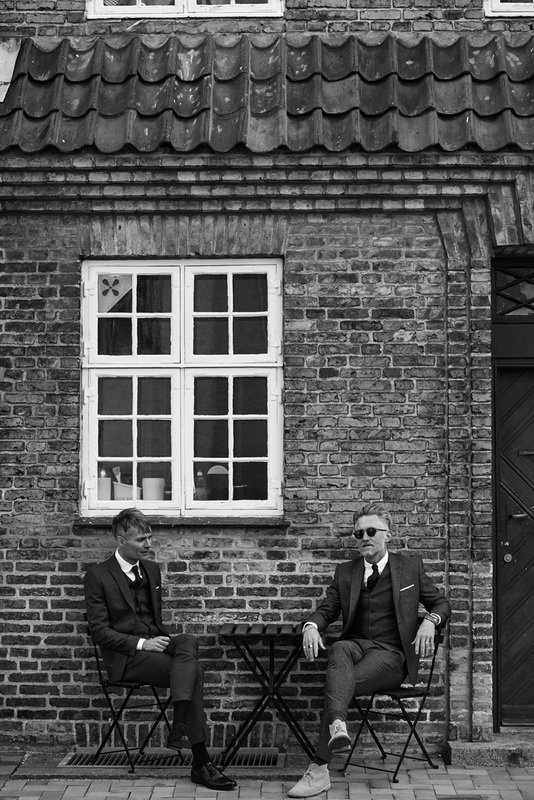 Shot in Spring 2017 at Grundtvig’s Church in Copenhagen. 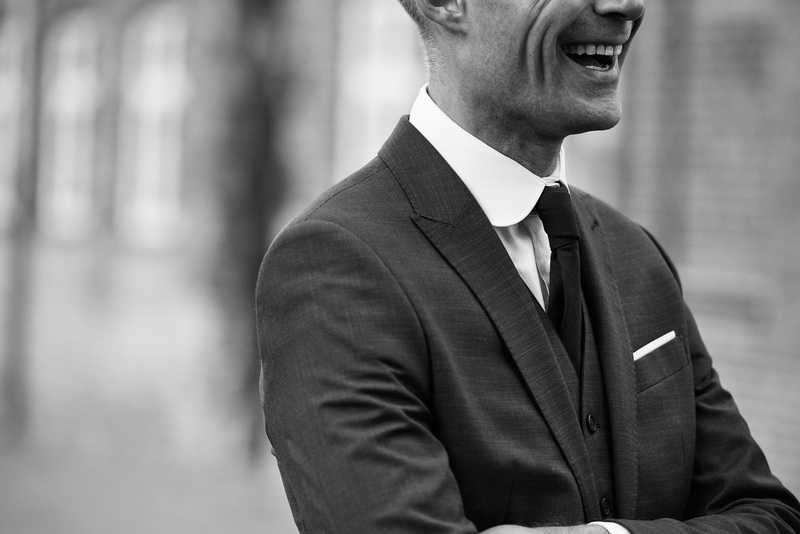 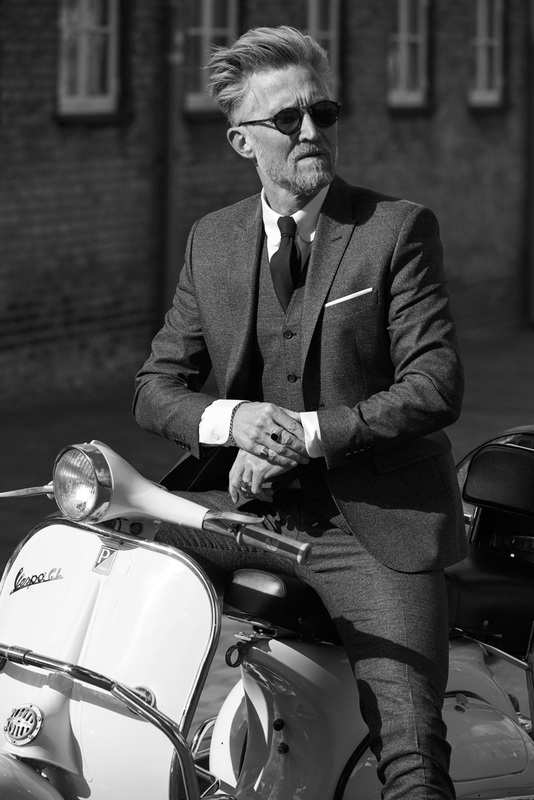 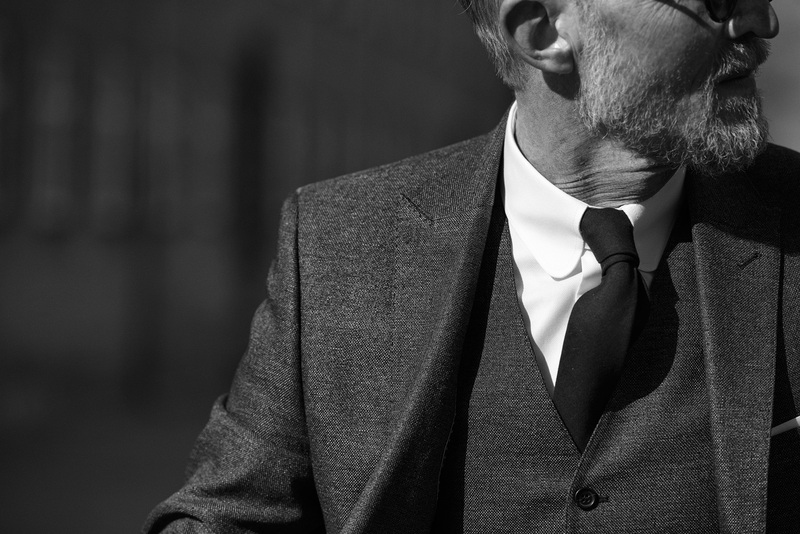 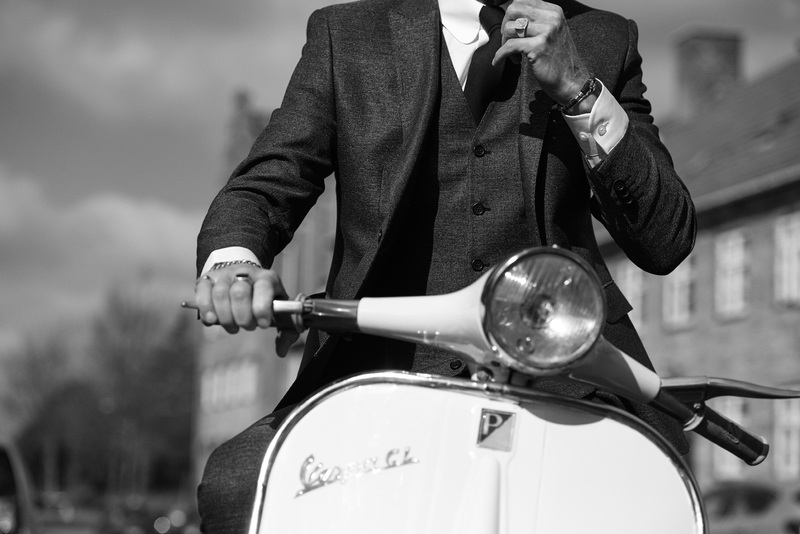 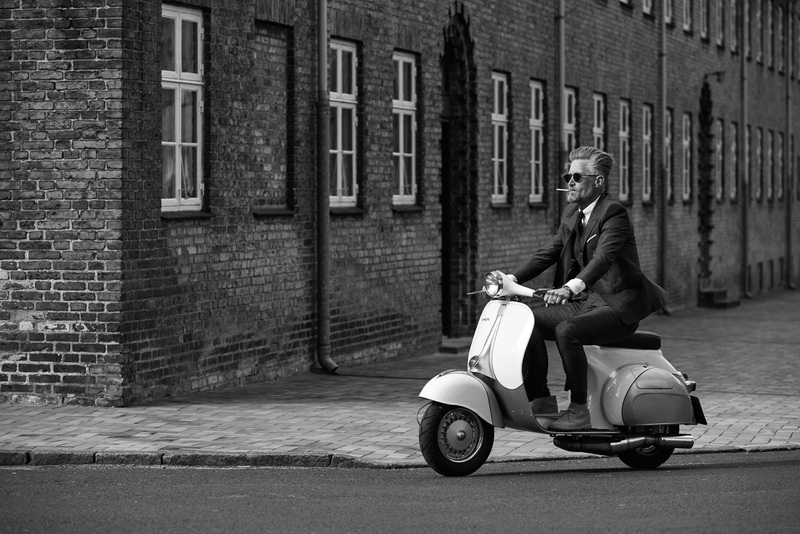 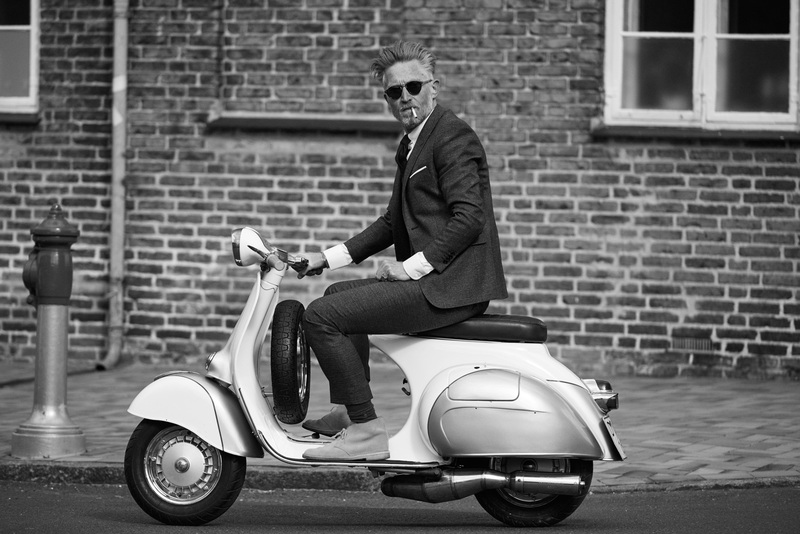 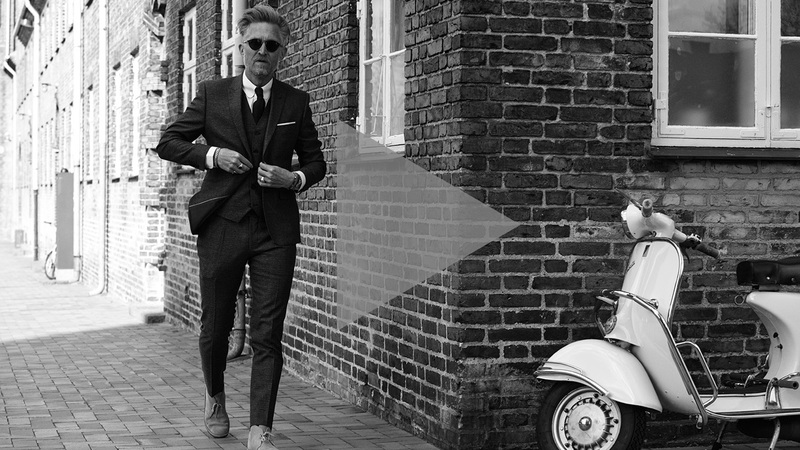 Brian is wearing our three-piece Melange suit, a wool tie and a tab-collar shirt. 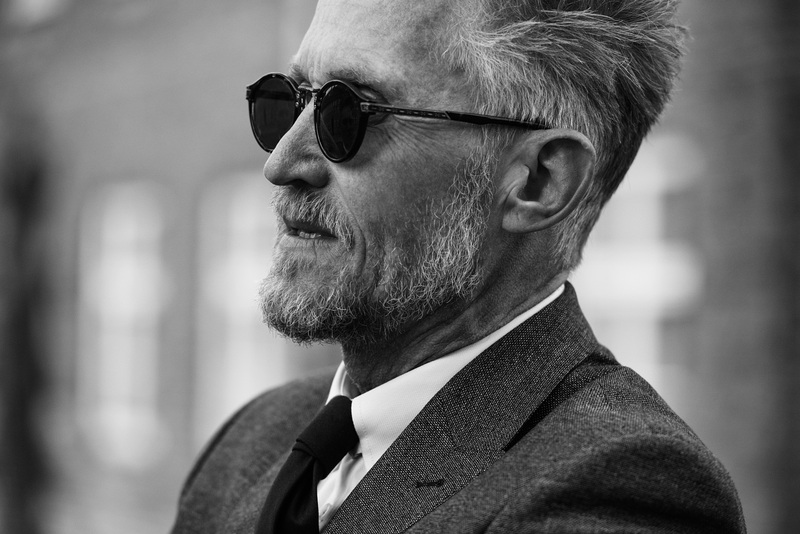 Dr. Larsen is wearing our three-piece Salt & Navy suit, with a club-collar shirt.